Nancy Dickey is an award-winning quiltmaker from Magnolia, Texas, with a Bachelor of Fine Arts from the University of Texas, specializing in graphic design. She spent several years in the advertising field before discovering quiltmaking. 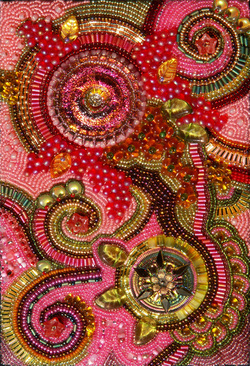 In 1999, she began producing original art quilt designs and has been expanding her fiber interests ever since. Nancy’s quilts have appeared in local, national, and international shows, and have been published in several quilt magazines, both in the US and France. Her quilt, “Windswept”, is included in the book 500 Art Quilts by Lark Books. Two of her quilts were published in the new book Lone Stars III, A Legacy of Texas Quilts 1986 - 2011. She has also entered and won numerous awards in The Hoffman Challenge.